This entry was posted in Wordless Wednesdays and tagged new bookshelf, wordless wednesdays. Bookmark the permalink. What fun!!!! Love your new shelves — and great job on the video. Love Your shelves..Getting a new book shelf and arranging books on it is always super fun! Love your new shelves, Violet! I have some Billy shelves and love them! I’m sure you’ll love yours too. Great shelves! 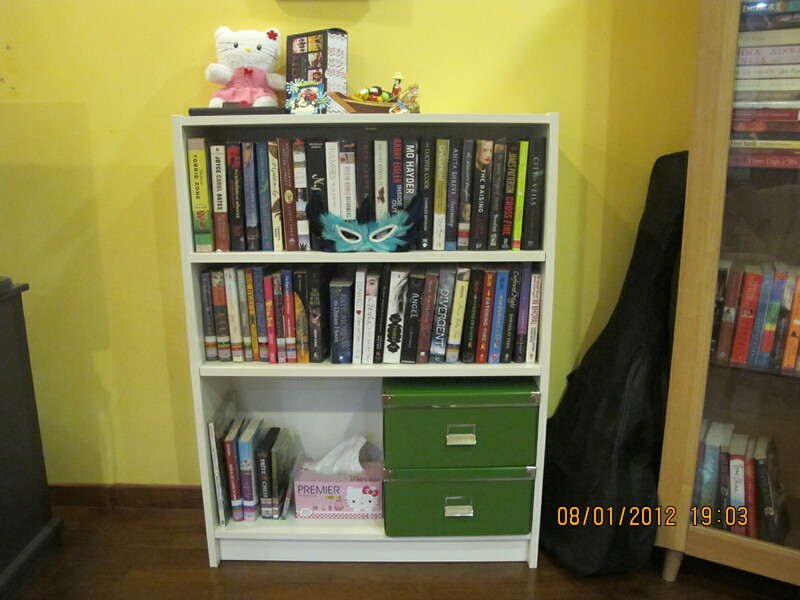 And I love the video too; I agree, the best part certainly is to fill the new shelves with books and other things. You’ve been awarded..Hop over to http://bedazzledeternally.blogspot.com/2012/01/thank-you-and-more-random-things-about.html. Hoping you’ll do this tag. Any new bookshelves are a cause for celebration, no matter what the size. My trouble is that they fill up immediately and then I am looking around for space to squeeze in another set of shelves! !